If you’ve done your research, you know that the 2019 Buick Enclave is a topnotch midsize SUV. It’s sleek, roomy, smart, and above all, fun to drive. But how does it stack up next to another American favorite, the 2019 Ford Explorer? The answer is: very well indeed. Let’s see why below. The Explorer is no slouch for looks, but the Enclave has a clear-cut advantage for one reason: the Avenir line. As the highest expression of Buick luxury, the Avenir treatment adorns the Enclave with a sleek, sculpted look that few high-end brands can rival. It also brings the advantage of QuietTuning™ technology, leather-appointed seats, and a power moonroof with a Rear Fixed Skylight. Of course, the Enclave is superior from a practical standpoint, too. Its 97.6-cu. ft. cargo capacity easily surpasses the 80.7 cu. ft. available in the Explorer. Ford has always endowed its Explorers with impressive engine options, and the 2019 model year is no different. But this impressiveness comes at a price: fuel economy. The Explorer’s V6 simply can’t keep up with the Enclave’s in the mileage department. Buick’s midsize SUV entry bests it 26 to 22 in estimated highway mpg. And it does so without compromising. The Enclave also puts out 310 horsepower and is available with intelligent all-wheel drive. The Explorer has a few tricks up its sleeve, but the Enclave edges it out thanks to GM’s proprietary suite of available safety systems. Rear Park Assist, Front Pedestrian Braking, and Forward Collision Alert are all available to Enclave drivers. But Buick isn’t all business and no fun. That’s why the Enclave offers Bose® 10-speaker premium audio as an add-on. 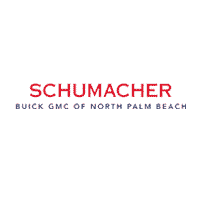 See for yourself with a test drive at Schumacher Buick GMC of North Palm Beach, your trusted Buick dealership in North Palm Beach, Florida.